Does Amazon to eBay dropshipping still work, or too saturated? I've read various posts, all from a year or more ago, about some success using Terapeak to do Amazon to eBay dropshipping, along with a few tools to create the listings, etc. Does this still work with the Terapeak updates and what must be increased saturation? Re: Does Amazon to eBay dropshipping still work, or too saturated? I do not know how people do it because most prices are cheaper on ebay. I ordered an item from an ebay seller and it came in the amazon fba box which I thought was against ebay rules. ? he is selling the same item on Amazon for twice the money. Why would he sell for so much less on ebay then? Just to get the sales or he/she bought this item for pennies. Competition sells this item on ebay for 85.00, he sold it for to me for 35 shipped. He has it for sale on amazon for 99.00. To the best of my knowledge it doesn't violate any eBay rules, but it will certainly make customers mad and earn you some negative feedback when the buyer realizes you shipped their eBay order using FBA. I've seen countless negative feedbacks saying something like "order arrived in Amazon box, I could have bought from Amazon for $10 less". @OP - I'm sure you would get some sales if you were to set up a bunch of eBay-AZ dropship listings but I can't imagine that would be a successful long-term business plan. Like you said it's already highly saturated, and like post #2 says items sold on eBay are generally cheaper priced than items sold on Amazon. The item arrived in an FBA box, not a regular Amazon box. The seller requested the item be shipped to his buyer from his own FBA inventory, and he actually sells the item at a far higher price on Amazon. It's not really "drop-shipping" per-se, but rather having someone else handle your products shipment. 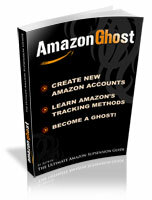 So are people still getting success from drop shipping from Amazon to Ebay? No one is going to tell you what products you can make money with. ANY product category can be profitable with lots of TIME and RESEARCH. But keep in mind your hours and hours of research can easily be copied in MINUTES by ONE person, DESTROYING your product sourcing. i used to do dropshipping from ebay to amazon but it can sometimes be complicated. I had a pretty good success ratio though i would say 60-70% of the time it worked. If you put in lets say 20k and do your research properly you can easily net 5k a month. This was back in 2013 though i dont see how it is still profitable though I personally believe the market is completely saturated at this point. LOL, posters here doing dropshipping rarely have $200 to spend. EBay to Amazon. Is more profitable. And no paper trail unless eBay seller uses that dahm free tape..lol. But stock to keep on hand for when options are low. But you can save on shipping at the very least. Last edited by H4ck; 03-02-2018 at 06:38 PM. There will always be arbitrage with market inbalances and Amazon is the new king so yeah I see this working now and in the future.. I did it about a year ago. Made on avg £30 -£70 per day, and you really need some kind of lister and price checker to pull it off (paid service which can eat into profits). It helped I could list an unlimited amount too. Gave up due to dealing with idiot buyers, as it just wasn't worth it. Yea it still work i have been doing it for a month now and its damn good i get 30$ profit everday as a newbie but you have to do a lot research before jumping !!!!! !